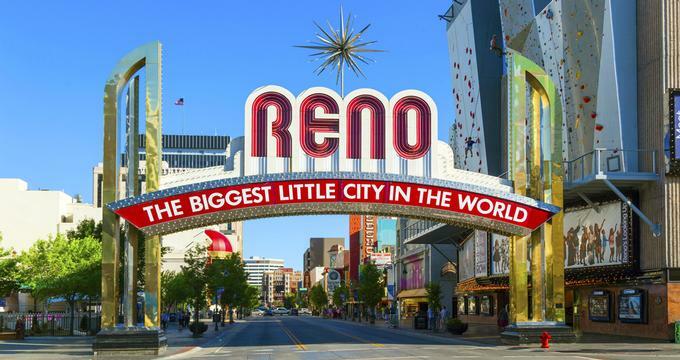 Snuggled between the Sierra Nevadas and Lake Tahoe, Reno is called "The Biggest Little City in the World." Considered a less glitzy cousin to its big and rich brother Las Vegas, Reno manages to pack a lot of fun and entertainment into a small town. 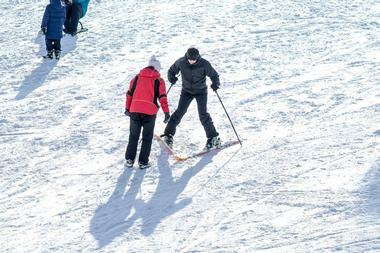 Reno is famous for its casinos and excellent nearby ski resorts. 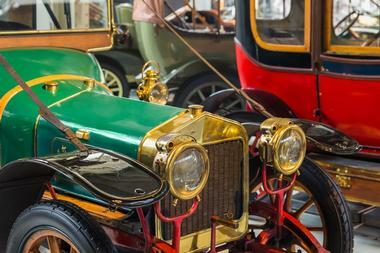 National Automobile Museum is a car buff's delight with more than 200 vintage cars. 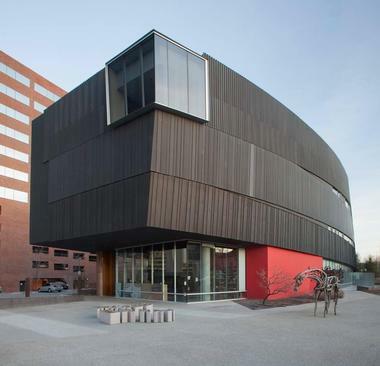 The Nevada Museum of Art, Nevada's only accredited art museum, is located in downtown Reno in a magnificent new four-story building designed by architect Will Bruder. This thematic museum focuses on the interaction between humans and the environment and the growing effort to protect the land. The museum's Permanent Collection consists of over 2,000 works of art from as late as the 19th century. 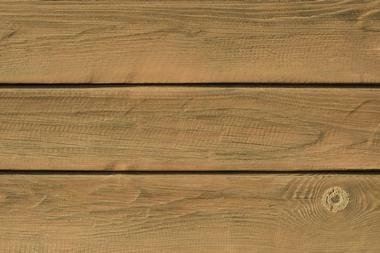 The primary focus is on built, natural, and virtual environments. A part of the University of Nevada, Reno and Extended Studies, Fleischmann Planetarium & Science Center was built in 1963 and offers digital planetarium shows open to the public in their dome theater. The center also organizes field trips and education in space and Earth science, as well the University's Redfield Campus observatory viewing. 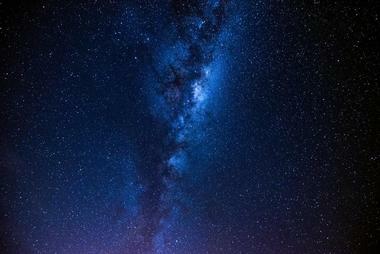 The center is one of the first world planetariums to use the Spitz SciDome digital projector. This high-resolution visualization tool produces colorful and bright 3-D images of space objects. The planetarium's interestingly shaped building, called a "hyperbolic paraboloid," was designed by architect Ray Hellmann. It is listed on the National Register of Historic Buildings. Besides the Dome Theatre, the center also has an exhibit Hall, a Science Store, and a classroom for education purposes, special events, and birthday parties. Animal Ark is a wildlife sanctuary and education center established in 1981 to provide a safe habitat for abandoned, injured, and wild animals that could not be rehabilitated and released into their normal habitats. Animal Ark goes out of its way to build enclosures for each animal with large boulders, native trees, bushes, grasses, and other vegetation that recreate the animals' natural habitat. Special effort is made to provide activities for the animals in order to relieve boredom. Watching them going about in an environment similar to their natural environment is a very different experience from going to the zoo. There is no captive breeding at Animal Arc, and all animals are offered sanctuary for life. 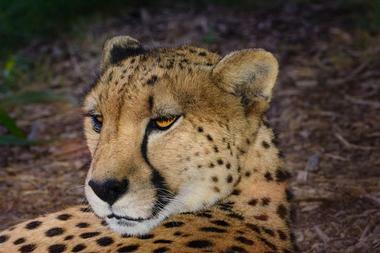 The Ark has bears, coyote, wolfs, foxes, bobcats, cheetahs, many reptiles, and raptors. 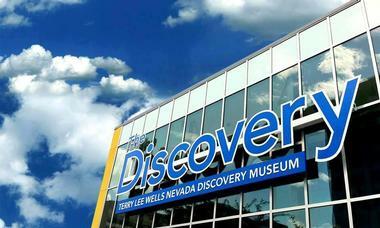 The Nevada Discovery Museum is a 67,000 square-foot playground, hands-on science center, and kids' museum in downtown Reno. There are so many possibilities for learning that are well-disguised as games; kids can try exploring caves and dark mineshafts, climbing three- stories up into the clouds, and traveling from the past to the future without breaking a sweat. Youngsters are engaged in science, history, art, construction, animals both living and extinct, destruction, and live performances. 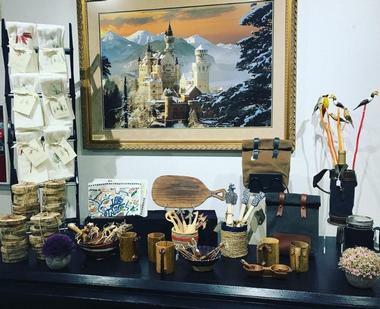 Kids can explore The Shop, Da Vinci's Corner, Spark!Lab Smithsonian, an 80-foot-long river, the Cloud Climber, a permanent night gallery, and much, much more. The museum also organizes many special events and kids' day camps. The National Automobile Museum in Reno is the ideal playground for car enthusiasts, who can easily spend a whole day roaming among more than 200 glorious old cars. They are not just on display, they are set out on a real cobblestone street in front of a hardware store or movie theatre with appropriate artifacts from the car's era. The cars in the museum are from the late 19th and 20th centuries and in general belong to the collection of the late William F. Harrah, once a wealthy casino owner. The cars are displayed in four galleries. One of the galleries includes the Off-road Motorsports Hall of Fame and a number of race cars. The most famous cars in the museum are the Cadillac Eldorado that belonged to Elvis Presley, Frank Sinatra's Ghia, JFK's Lincoln Continental, and John Wayne's Chevrolet Corvette. Visitors can take a photo in one of the historic cars dressed in a period costume. Every year in September at the airport just outside Reno at the site of the former Stead Air Force Base, thousands of air race enthusiasts from all over the world come to watch the National Championship Air Races, an exciting event for northern Nevada. The races last a week, and during that time hundreds of pilots and crews descend on Reno with their lovingly maintained aircraft. There are six racing classes, a huge standing display of aircraft, and a number of civil and military flight demonstrations. Bill Stead organized the first races in 1964, and since then they have missed only one year – the year of 9/11. Unfortunately, the Reno air races are the last of their kind. Located on the bank of the Truckee River in the Freight House District in Reno, Greater Nevada Field is a Minor League Baseball stadium that opened in 2009. It is the home field of the Triple-A Reno Aces from the Pacific Coast League. Greater Nevada Field can accommodate 9,100 spectators, featuring 6,500 fixed seats, plus general admission. Behind right field, there is a berm with standing room. Two party areas have picnic tables and benches. The stadium also has 22 opulent skyboxes, two comfortable dugout suites behind the stadium's home plate that can fit 15 people each, and a 150-person club suite. The stadium has natural grass surface. Reno is not exactly a typical ski town, but only 30 miles south of the city in the Carson Range, you will find the first class ski resort Mount Rose Ski Tahoe. 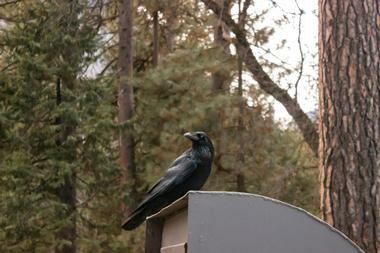 The resort covers an area of 1200 acres and is located in the heart of the magnificent Toiyabe National Forest. The resort was opened in 1953, and today it has more than sixty runs and eight lifts, and the longest run is 2.5 miles long. There are three terrain parks: the Badlands, the Pondo Park, and Double Down. While skiers can easily stay in a hotel in Reno and come to Mt. Rose on the resort shuttle every day, the resort has its own new facility, Winters Creek Lodge. The Pioneer Center for the Performing Arts, a private cultural organization in Reno, is located in a spectacular gold geodesic dome that was completed in 1967 and is nicknamed "Golden Turtle." The theater has 987 seats on the ground level and 513 in the balcony. The Pioneer Theater is the home of some of Reno's most renowned art companies such as the Reno Philharmonic Orchestra and A.V.A. Ballet Theatre. The center also hosts the "Broadway Comes to Reno" series that brings Broadway touring musicals to Reno. The theatre hosts more than 100 diverse cultural events every year, from Broadway productions to dance recitals. The center's Pioneer Center Youth Programs, its educational outreach division, works on encouraging an appreciation for the performing arts in young people by presenting them with a rich variety of exciting programs. 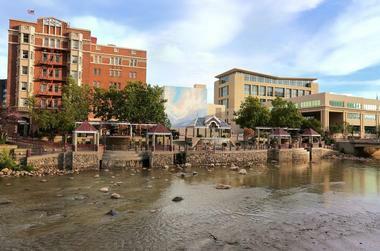 The Riverwalk District is the most obvious sign of Reno's exciting urban renaissance. Stretched along the scenic banks of Truckee River, the area between Arlington Ave. and Lake St. in Reno is quickly becoming the city's fast beating heart. Something is always going on, and there's an activity or attraction for everyone: you'll find 35 bars, cafes, taverns, and restaurants, five studios and art galleries, three museums, and three theaters, and everything is just a short distance from all the city's attractions and historic monuments. They are all competing to see who will bring the most exciting events to visitors. There are street concerts, kids' face painting competitions, wine walks, and Dine the District foodie tours, or you can just sit on one of many benches and watch the river and the world go by. Rancho San Rafael Park offers beautiful views of both mountain and desert landscapes, as well as a wetland habitat. The land, once home to a working cattle ranch, was converted into a park after Washoe County purchased the land in 1979. Two of the original ranch houses still stand on the property. In addition, the park contains pavilions for picnicking, walking trails, fishing, biking, playgrounds, volleyball courts, and more. The William D. May Museum and Arboretum are also part of the park and are open to the public Wednesday through Sunday. Bartley Ranch Park is an impressive 56-acre park located in Washoe County. Naturally, it has the picnic pavilions and walking trails that are common to parks, but Bartley Ranch also contains acres of pastureland, a horse arena, an outdoor amphitheater, and several historic buildings. The Western Heritage Interpretive Center is a western-themed building with a full kitchen that can be reserved for parties and meetings. Guests can also tour the restored Historic Huffaker School or see a show at the Robert Z. Hawkins Amphitheater. The park is open daily, year-round. Called the "wildest, richest rodeo in the West," the Reno Rodeo has been a premiere event since 1919. 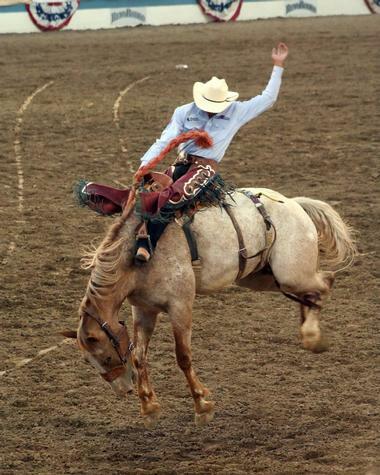 Today, this 10-day rodeo draws over 140,000 fans to the Reno area each June. Events include cattle roping, steer wrestling, barrel racing, bull riding, and family themed activities such as the carnival and parade. And each year, a massive cattle drive brings its herds through Reno. Guests can enjoy a Western breakfast and watch the cattle come through town. Galena Creek Park is a natural recreation area situated next to the Humbolt-Toiyabe National Forest. The park contains miles of hiking, bicycle, and horse trails that cross into the forest and back out into the park. The park covers both Alpine and high desert ecosystems, giving visitors a unique experience with nature. At the Visitor Center, guests can learn about the different birds, animals, insects, and plants they will find in the park and get a map to guide them on the trails. Galena Creek Park also offers events for children such as science and summer camps. The park is open daily, year-round. Hours vary by season. The McKinley Arts and Culture Center is housed in the former McKinley Park School. The building was renovated in 1999 and now houses office spaces, two art galleries, arts and crafts workshops, and an auditorium and boardroom that are available for rental. The McKinley is also the home of the Reno Philharmonic and the Reno Chamber Orchestra, the Masterworks Chorale, and the Reno Pops Orchestra. 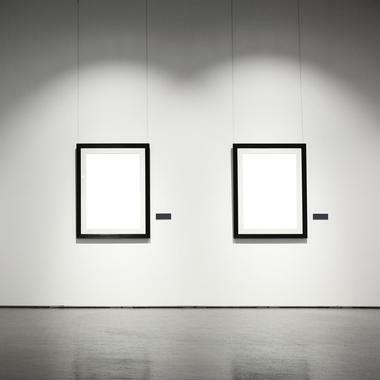 Guests can immerse themselves in the arts and cultural climate of Reno by taking a guided tour of the center and viewing the artwork in the galleries or by taking in a musical performance at the center. 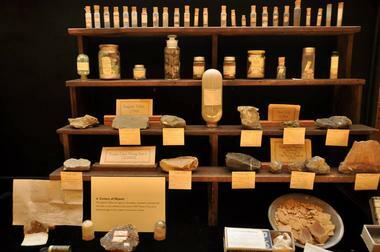 The 2nd oldest museum in Nevada, the Keck Museum is dedicated to showcasing the mineral and geological variety of Nevada. The museum contains an impressive display of minerals and geodes such as quartz, gypsum, amethyst, copper, and of course, silver and gold ores. It also features tools and maps related to the state's rich mining history. The museum houses the amazing 1250-piece silver collection of John W. Mackay, one of the founders of the Bonanza Firm which developed the famous Comstock Lode. The establishment is open Monday through Friday and one Saturday a month and is closed on University holidays. Great Full Gardens Cafe and Eatery is a health-focused eatery in Reno's Midtown District, opened to the public in 2013 by Juli and Gino Scalia with the assistance of Cyndi Wallis. 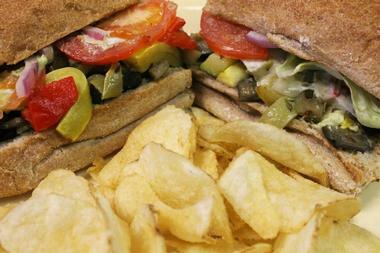 The restaurant strives to provide unique menu options for diners with dietary concerns, including Paleo, vegan, and gluten-free options. Breakfast, lunch, and dinner service are offered daily, highlighting options such as signature Great Full bowls and the restaurant's special-recipe GinoTheSoupMan soups. Full barista service is available daily, with superfood beverages such as turmeric lattes and matcha green tea beverages offered. The restaurant also serves up local craft beer and wine offerings on tap, with selections rotating regularly. 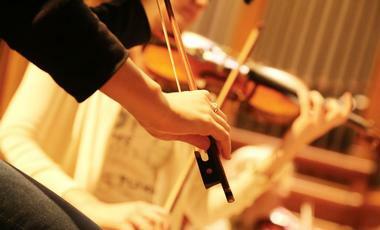 The Reno Philharmonic Orchestra has been bringing classical and popular favorites to Northern Nevada since 1969. Each season, the "Phil" performs an impressive array of pieces from the classical repertoire, as well as pops pieces from Broadway and Hollywood. Each summer, their "Pops on the River" concert is a major fundraiser for the orchestra, and each December, the Phil showcases their holiday spirit with their "Spirit of the Season" extravaganza. The show features singers, dancers, and even Santa Claus himself. The Peppermill Casino is more than just a casino; the property contains a resort with luxury lodging, multiple dining options including fine and casual, two nightclubs, and a full-service spa. The Peppermill is a AAA 4-diamond award winner and is the #1-ranked hotel in Reno. The casino offers table games, poker, keno, and slots, all housed in a clean, upscale environment. The casino's Passport Rewards Club members can take advantage of VIP services including a complimentary room and concierge services. The resort is also has available spaces for weddings, meetings, and corporate events. The Silver Legacy Resort has everything you need for a spectacular vacation all in one convenient location. The resort contains high-end accommodations, six restaurants, bars and lounges, boutiques and shops, a spa, and a fitness center. 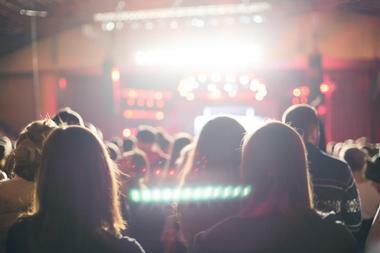 Silver Legacy draws some of the biggest names in entertainment, including country singers, comedians, and dancers. One of the biggest draws at Silver Legacy is its casino. 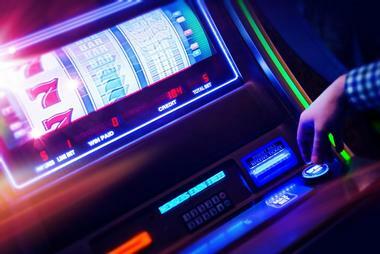 You'll find table games, slots, keno, and a wide array of games with progressive jackpots. 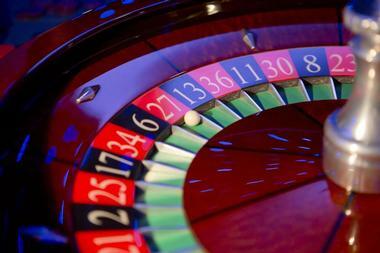 The odds are that guests will have a great time and win big at Silver Legacy! The AAA 4-Diamond Atlantis Casino Resort and Spa is ideally located on the Strip in the heart of Reno, Nevada, and shopping, dining, and entertainment are all nearby. Atlantis offers its guests world-class accommodations, award-winning restaurants, live entertainment such as concerts and cabaret shows, a 30,000 square foot luxury spa, and of course, exciting gaming action. At the Atlantis Casino, rooms are clean and well-organized. 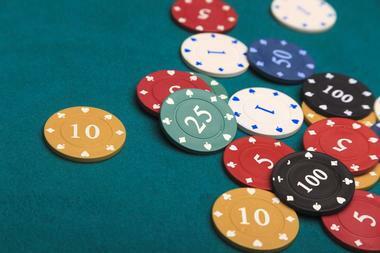 Atlantis offers card games, table games, progressive jackpots, and tournaments. They also have non-smoking sports betting and poker rooms. At Atlantis, the jackpots are bigger, the slots are looser, and the service is outstanding. Covered in bright neon lights, the Eldorado stands out amidst the hotels and casinos in downtown Reno. Their luxurious accommodations have been voted "Best Rooms and Suites" by Casino Player Magazine. Guests can dine in one of their nine award-winning restaurants or see a show at their Broadway-style theatre. When you're ready to play, check out the slots, card games, table games, and sports betting at the Eldorado's casino. The casino offers many different tournaments so guests have even more chances to win big, and the casino's hosts are there to help guests plan their trip or offer a credit application. The Grand Sierra Resort and Casino has it all; the hotel boasts modern, upscale décor and 1900 rooms with luxurious accommodations. Enjoy world-class dining at their seven on-site restaurants. Hang out by The Beach Pool, a large pool surrounded by shaded cabanas. There's even family fun with go-karts, mini-golf, and laser tag. The casino at the Grand Sierra is the largest in Reno and offers a variety of games at skill levels from novice to expert. Guests can test their skills at keno, blackjack, poker, baccarat, and craps, or press their luck by betting on sporting events in the casino's 14,000 square foot book lounge. Circus Circus is the resort that's fun for the whole family; their spacious rooms and suites provide an ideal environment for both adults and children. The resort contains six restaurants, including Dos Geckos Cantina with its bright, funky décor. Circus Circus provides a variety of kid-friendly entertainment such as concerts, acrobats, and animal shows. 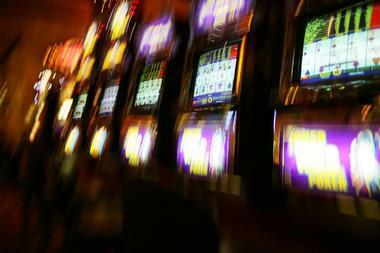 The casino offers card and cable games, slots, and race and sports betting. Tournaments often take place, and the casino hosts are always there to provide world-class service to their guests. Harrah's is one of the premiere names in gaming and entertainment. Harrah's Reno offers spacious guest rooms and suites for the lowest rates in town. 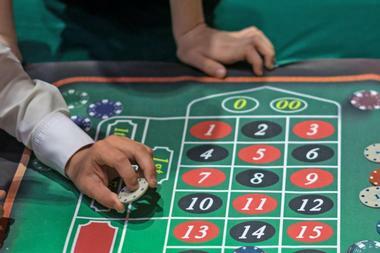 The Harrah's Casino gives guests the opportunity to try their luck at cards, table games, keno, and sports betting. Rewards programs and lines of credit are also available. In addition, Harrah's puts on concerts and shows, and they boast an on-site salon and a full-service spa. Guests can dine at an array of restaurants, from upscale to casual, or drop in for a cocktail at the Sapphire Lounge. Set against the backdrop of the Sierra Nevada Mountains is the Sommersett Golf Course. This par 72 course designed by Hall of Famer and U.S. Open Champion Tom Kite features 62 sand bunkers, 7 lakes, and challenging elevation changes throughout its 18 holes. The facility also contains a driving range, putting green, and chipping green so golfers can perfect their swings before hitting the course. 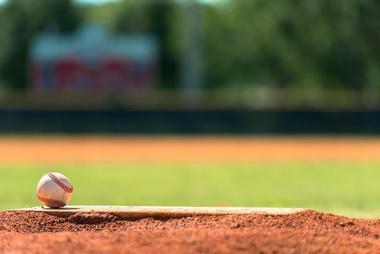 Private lessons and golf clinics are also available. The on-site restaurant, the Sunsett Grille, is open for breakfast, lunch, and dinner every day except Monday.